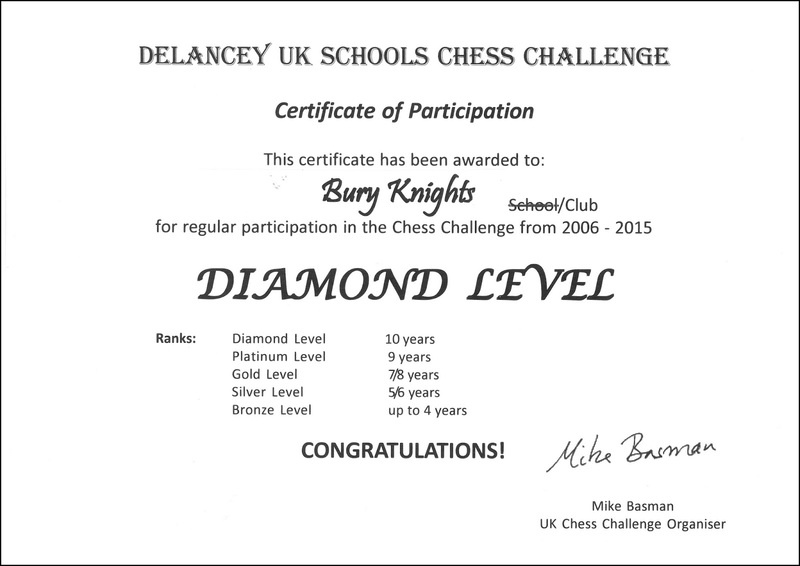 The UK Schools Chess Challenge, currently sponsored by Delancey, the property development company, has now been running for 20 years. The tournament regularly attracts more than 50,000 children from around the UK. The tournament enters its 21st year this season, and schools in Suffolk are invited to enter. Contact me for further details.